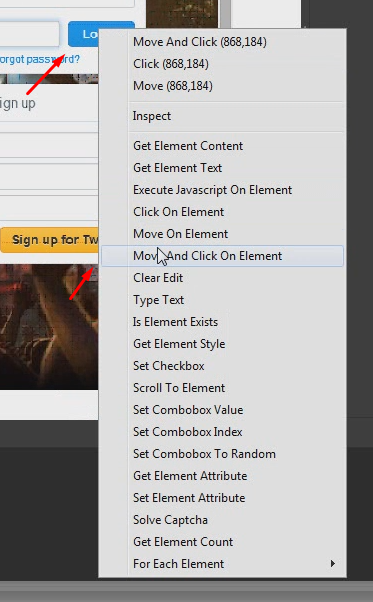 Click on element can be done with “Move And Click On Element” action. There is also “Click On Element” action, which doesn't emulate mouse move. “Move And Click On Element” action uses css selectors to detect element position, if detection of element is complicated, use click on coordinates method.